Conservation - Why Choose Us? 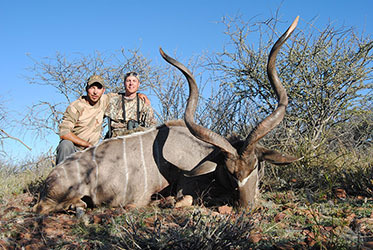 Is your outfitter a member of the national professional hunters association (such as the Namibian Professional Hunter's Association - NAPHA) in Namibia and is your outfitter registered with the Namibian Tourism Board (NTB)? Are the species on your 'shopping list' available on the property or the hunting area, or are they to be sourced from a third party? How many animals (of the specific specie you will be hunting) are to be found on the property and what are the chances of taking your desired trophy? Will you be seeing big game, such as elephants, white & black rhino, giraffes, hippo while hunting, will it be a truly African experience? Size matters to some extent - but the hunting experience is truly what hunting is all about. Nonetheless, make sure that you will have the opportunity of hunting a good, aged representative of the specie(s) you wish to take home. How large is the hunting area and what is it used for? Is it privately owned, state-owned concession area, a cattle ranch, is it high-fenced, free range? Where is the hunting area located? Will you be hunting desert areas, lush green plains, a variable habitat? How much time is to be spent travelling during your hunt, how far apart are the concession areas and the accommodations? How much of your time will actually be spent hunting and driving from accommodations to different hunting areas? Are the accommodations suitable for you and your friends and family, if you wish to share your experience with them? How many hunting parties will be sharing camp with you? Are the accommodations going to live up to your expectations with regards to privacy, luxury and comfort? What additional services are provided, will you (or your friends and family) be able to participate in other activities, such as souvenir shopping, travelling etc.? Hunting African countries in general: find out about health hazards (malaria, tse-tse flies, brucella etc. ), the political situation, the infrastructure and safety within the country. Checking references is probably the only way of finding out if your experience will be as you expect it to be. References will be able to give you additional tips from the perspective of a fellow hunter and give invaluable advice on everything else, such as taxidermists, travelling, places to see, things to bring on your hunt and much more. You will find that the hunting community is a fraternity, and in sharing the same passion for the outdoors, most hunters are more than willing to lend a guiding hand! If possible, meet your outfitter or PH personally, make efforts to attend hunting conventions. An outfitter that regularly attends hunting conventions is serious about offering professional service and putting a face to the operation will put you at ease. Hunters around the world share a love for the wilderness and it's wildlife and are naturally conservationists at heart. Are the proceeds of your hunt being put to the benefit of conserving that which all hunters hold dear? I.e., is the hunting operator a long-standing establishment or out for making a quick buck? 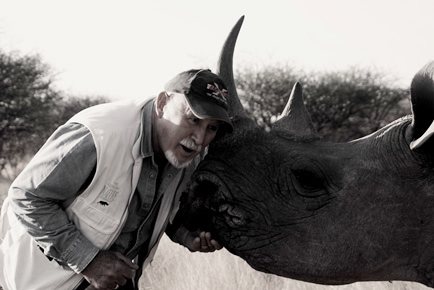 "Always give back more than what you take out"
Jan Oelofse Hunting Safaris was founded by world-renowned conservationist Jan Harm Oelofse, and his legacy, wisdom and philosophies are the heart of our family-run establishment. 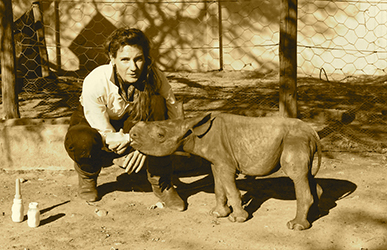 Jan Oelofse believed that hunting should first and foremost serve conservation. In the face of our fading natural world, his credo "always give back more to nature than you take out", becomes ever more important. The dream of an African hunt for many may only be realized as long as hunting outfitters, in collaboration with government, use the proceeds from the hunting industry such to support local communities, facilitate the conservation of the huntable species and more importantly, the habitat. We at Jan Oelofse Hunting Safaris pledge to serve this credo, to keep the "African dream" alive, to always give back more than what we take out. 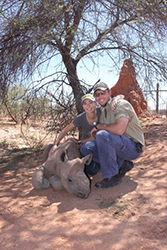 A total of an estimated 5000 black rhino are alive today, the biggest populations residing in South Africa and Namibia.To protect this endangered species, the Namibian Government launched the Black Rhino Custodianship Programme, which foresees the selection of trustworthy and passionate land owners to act as custodians of the black rhino. 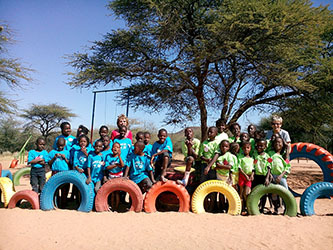 Jan Oelofse and particularly his wife Annette have done their utmost to support this programme. 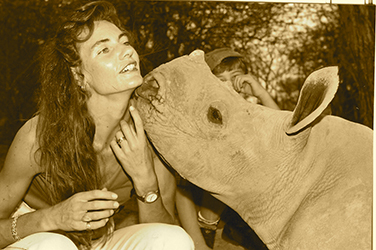 Annette has hand raised several black (and white) orphaned rhinos, which were all released back into the wild to contribute to the survival of their species. Several black rhino roam the area, but are NOT available as trophies. 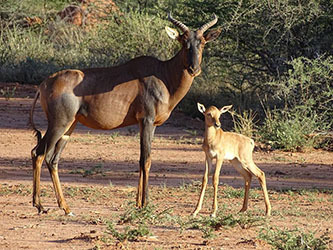 Several rare and/or indigenous species are kept and nurtured on the property, including Roan Antelope, Sable Antelope, Nyala, Black-faced Impala, Lechwe, White Blesbuck, Black Springbuck, Damaraland Dik-Dik and Hartmann Zebra. 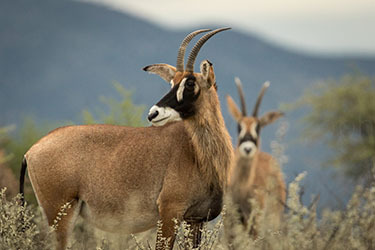 In order to enable sustainable hunting and maintenance of good genetics, we grow representative populations of a species before trophy animals may be taken. 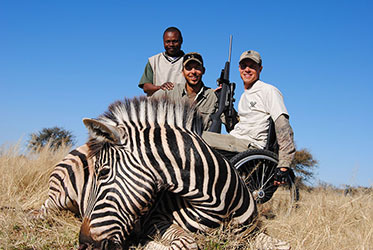 Populations are carefully monitored and controlled by meat and trophy hunting, as well as live capturing and selling. The Mount Etjo Private School was inaugurated by former President, his Excellency Dr Sam Nujoma, in 1992. Many learners have since graduated from the school, following careers in engineering, medicine and accounting. 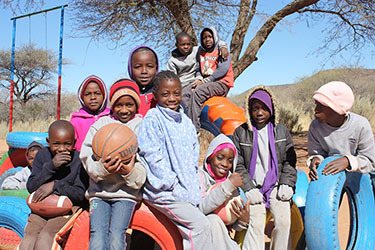 Today, the school counts more than 30 students and is almost entirely funded from hunting proceeds. Hunting clients often visit - donations are more than welcome! 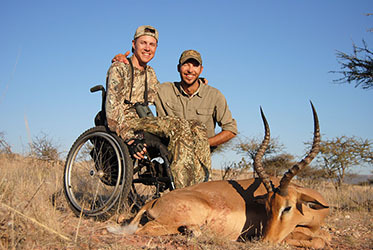 Every year, Jan Oelofse Hunting Safaris donates a 10 day hunt for 10 animals to the recipient of the SCI pathfinder award. This award is given to honor those who, despite the odds, physical and mental challenges, succeed in following their dreams. We have in the past had the great privilege of meeting and having numerous pathfinders hunt with us.